This tutorial shows how to display a very simple interactive 3d scene using the 3d engine CopperLicht. The CopperLicht SDK. Download it from the CopperLicht website if you haven't already. 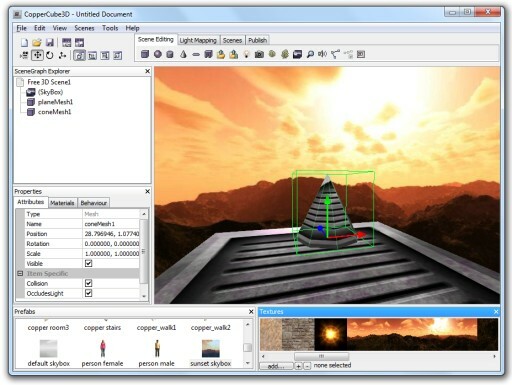 The 3D world editor for CopperLicht, CopperCube. Download and install it from the ambiera website, it is free. To show a nice 3D scene in CopperLicht, we first need to create this scene. For this, we use the 3d editor CopperCube. A browser will open and show your WebGL scene inside. CopperCube has now created a .html file which starts up CopperLicht and loads and displays the .ccbjs or .ccbz file for you. You will find the .ccbjs/.ccbz file and the textures inside a newly created sub directory where you saved your .ccb file before. The object stored in the engine variable in this code above is an instance of the CopperLicht class. Starting with this object, you can manipulate everything in the 3d scene. But this should be explained more in detail in the following tutorials. 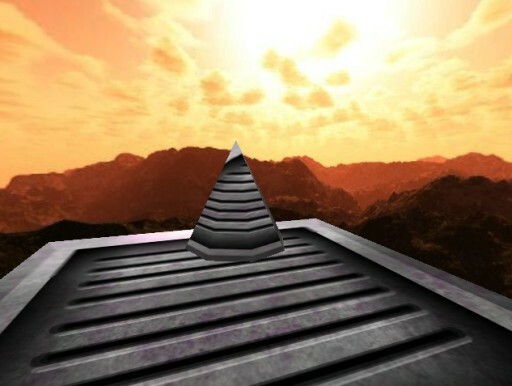 You can replace the copperLicht.js include with a possible newer 3D engine version if you prefer, by the way. Happy programming with CopperLicht.